Publishing as Performance é um evento em torno da edição e da distribuição de livros de artistas integrado no ‘The Publications Project 2009’ uma iniciativa do Dutch Art Institute que se configura como uma plataforma experimental anual de investigação e produção que pretende abordar os processos específicos inerentes à criação de livros de artistas, desde a conceptualização, passando pelo design e chegando à distribuição. Através de diferentes perspectivas e práticas os artistas e designers reflectem sobre a edição como meio versátil. The book launch event Publishing As Performance presents a new collection of 16 publications varying from magazines, essays, books, playing cards & artist editions to performance artifacts, all outcomes of the annual ‘The Publications Project’ by the Dutch Art Institute (DAI) edited by artist/curator Delphine Bedel. The two-fold book launch event expands on the idea of performativity and the circulation of printed matters whereby a series of one-to-one encounters with the artists of the publications is made on a boat touring the canals in the vicinity of Casco. The journey or “a choreography of events” will involve story telling, games, scripted moments that will unwind from the publications.Secondly, ‘Temporary Bookshops’, which is a traveling project by the Berlin-based distribution company Motto will be installed at Casco. Next to the DAI publications, various other publications by artists and designers worldwide will be available for viewing. 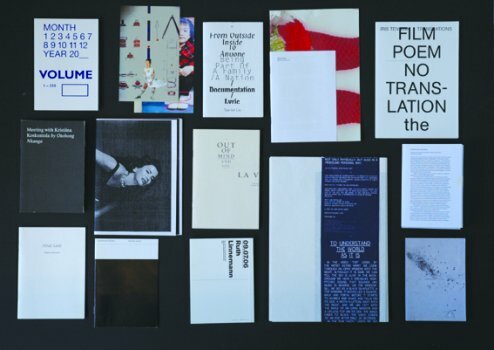 ‘The Publications Project’ is an experimental annual research and production platform by DAI that aims to address the specific process of artist book production from concept and design to distribution. Since 2003, designers from the Werkplaats Typografie and artists from DAI (both master programmes of the ArtEZ Institute of the Arts) are invited to team up in couples and develop one project, in close collaboration with an author. This year ‘publishing as performance’ emerged as the overriding topic, as a concern central to many of the printed matter produced. Through very diverse perspectives and practices the artists and designers reflect upon publishing as a versatile medium.